Alcoholics Anonymous (AA) is an alcohol program that was founded in 1935 by Dr. Bob and Bill Wilson with the goal of abstaining from alcohol and has grown to 2 million members worldwide. Controlled drinking or moderate drinking has recently taken the spotlight as new way to overcome alcohol addiction and possibly a way to prevent alcohol addiction. Studies over the past few years have reported that alcohol can have some health benefits if moderate alcohol use does not turn into alcohol abuse. Now people are wondering which is better, abstinence or moderation? AA has accomplished a lot in the past several decades by not only helping people who are struggling with alcoholism, but also their families. Due to the worldwide success of AA, many researchers explored why AA is so effective and studies showed evidence the 12-step program in AA works well for maintaining abstinence. The main ideas of the 12 steps include admitting you are powerless over alcohol, allowing a higher power than yourself take control, admitting mistakes, making amends to those you have harmed, and spreading this message to others going through the same thing. Psychologically, this form of alcohol treatment is effective because the person is gradually giving up control to a symbol of power to change his or her way of thinking, similar to how Cognitive Behavioral Therapy works by changing thoughts to change behavior. Thinking changes from being constantly frustrated about being unable to win when it comes to drinking alcohol. When alcohol becomes an addiction, this is exactly the case. Each time you go back to drinking, you feel like you lost once again. When people want to reach a goal and obstacles consistently prevent that person from achieving that goal, frustration builds up almost every time. That frustration makes alcoholism challenging and stressful. When stress can be eliminated, it becomes easier to move closer to the goal because alcohol is a stress reliever that distracts one from that goal. No stress means less distraction and less reason to use alcohol to relieve stress. AA is also good about having members talk about regrets and mistakes they have made. Most people come to realize the extent of their problem after they say their mistake out loud. This is because when people hear their own lines of reasoning for a behavior they knew was wrong, they often see the fault in their behavior and thought processes in a way they were unable to see before. Social psychology would agree with this because of cognitive dissonance. Cognitive dissonance argues that when we have two opposing views in our mind at the same time, we experience a feeling of distress and end up picking one of those two things to relieve our distress. During this process, we self-justify the choice we made because we are inherently biased. For example, someone struggling with alcohol may think they can drink a few shots before going to a birthday party and everything will be fine, but there is a second possibility that this decision to drink could end up disastrous and may embarrass the family. These two possibilities exist as thoughts running through the person’s mind and many with alcohol addiction will choose the first thought. At AA they may tell the story of how choosing to drink led to horrible consequences at the birthday party. Hearing themselves say this out loud should wake them up to the reality of the choice they made by revealing their own faulty self-justifications for that choice. In the future, they may recognize these self-justifications and choose to not drink because drinking will likely lead to the negative consequences they experienced last time and because they said these self-justifications out loud, they are aware of the process that led to those consequences. What Counts as Alcohol Abuse? The reason these are considered symptoms of alcohol abuse is because these are usually what maintain excessive drinking behavior. Moderate drinking is one drink a day for women and two drinks a day for men. Some believe that a former alcoholic may be able to start drinking moderately if they are able to successfully control their drinking. This is where the new alcohol treatment idea, controlled drinking, came from as a possible option for younger people who have only recently started to abuse alcohol. It is believed that the less time a person has been addicted to alcohol, the easier it is to overcome that addiction. Studies have shown that moderate drinking actually has some health benefits. These benefits include a decreased risk of heart disease, ischemic stroke, and diabetes. Although, it is also acknowledged that there are other ways than alcohol to prevent these types of health issues. Abstinence is a strict guideline to follow and moderation is a risky option to take. In the end, it may depend on the person because everyone is different and therefore different alcohol treatments may be more effective for different people. At The Recover, we understand how dealing with an alcohol addiction is not an easy task for anyone. 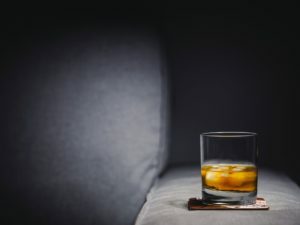 While some may believe that they can overcome addiction alone, there are a variety of alcohol programs out there with a wide range of treatments. Recovery from substance dependence is not a smooth transition to endure, but with support from others, you have a fighting chance. The Recover is an unbiased substance abuse and mental health news provider that helps people who are looking for the right treatment programs in their area. We also provide information on West Virginia centers for addiction recovery. If you are experiencing difficulties with controlling how much you drink, please feel free to contact us at (888) 510-3898 to talk to a treatment specialist who can help you find the right alcohol program for your personal needs.